Mass Communication is still a vague, somewhat glamorous entity for many! Most assume that you can be a journalist after completing a degree in mass communication. While that is true, mass communication is not limited to journalism or media. It is all things communication and as we discover new ways of communication from email to social media to even what’s app, there will be a growing opportunities for media research, planning, execution and even teaching. We recently connected with Sutikshya Mallick to understand more about opportunities after Mass Communication. What does Mass Communication include? Well! To be precise – EVERYTHING! From advertising to PR, it involves all. Mass Communication is not limited to journalism alone and to a great extent, it is a modern reality which covers all aspects of life. Popularly known as Mass Media, it primarily involves Journalism including Broadcast and Print, Media Management, Advertising, Public Relations, Developmental Communication, Video Production, Print Media Management and many more. 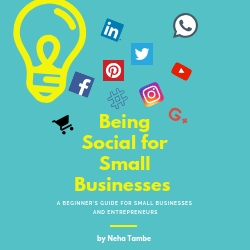 With the hashtag era, there are several areas that have come under mass communication such as Social Media Management, Digital Marketing etc. What are the kinds of career options available under Mass Communication? A professional course in mass communication caters to various career options such as Journalists and Correspondents (of different beats such as entertainment, business, political, sports etc. ), web journalists, anchors, radio jockey, video producer, video editor, editors (involves writing and not to be confused with video editing), screenwriter, sound mixer, public relations manager, corporate communication, filmmakers, digital marketer, social media manager, photographers and many more. Also, having a degree in mass communication open doors for media academicians, and researchers. You can also opt for teaching under a reputed institution. How does one go about taking an admission for Mass Communication? Unlike engineering or medical streams, there is no unified examination for making a career in mass communication. All the universities conduct their separate entrance examinations for both graduate and post-graduate level. Mass Communication is not restricted to any discipline (Science, Arts, or Commerce). Students after completion of higher secondary, can opt for it! However, good marks in English with first division is preferred in some colleges. Even, if you are having a BTech or BSc degree, you can also opt for Masters in Mass Communication. Lot of glamour is associated with careers in Mass Communication, your take on it? Really common misconception. Sadly, it’s not true. Beyond all the glamour and glitz associated with it, the field also requires enormous efforts and sacrifice (personal life) to make it big. Often people notice the finished product, and ignore the hard work behind making it! A journalist needs to work astronomical hours in case of breaking or important coverage. Not only this, sometimes he/she have to stand under the scorching sun for interviews. Remember, the path is thorny, and it will only bear gold if taken seriously. What kind of aptitude or skills should one have to have a successful career in this field? Patience, good communication and research skills, good reading and writing skills. Also, you should be a keen observer to analyze things in the changing scenario. If you want to succeed in this field, be passionate about what you are doing as it’s not a 9 to 6 job, and have to spend long hours in the office to get things done (or may be not). What kind of specializations can one take up while applying for Mass Communication? While pursuing Mass Communication, one can opt for electronic media, broadcast journalism, public relations and advertising, media management and more. Any tips or suggestions for those looking to take this up as a field of education? Read, learn and ready to accept changes. Always try thinking out of the box! A true mass communication student will never satisfied with old and clichéd ideas. Since there are no preset formulas, be an avid reader – read whatever you want (be it novel for polishing your vocabulary or newspapers and magazines for general knowledge). Broaden your learning horizons (opt for internships as many as possible), and don’t afraid to take challenges (There are no weekends). Interact with people, be spontaneous and flexible, creative and unique. Then Voila! You shouldn’t be giving a second thought before joining Mass Communication. Mass communication courses have always interested me. This is truly a very informative post dear. Mass Communication is a relatively new field which is attracting a lot of youngsters nowadays and not much is known about it. Thanks for sharing an informative and useful post, Neha. Great post for teens who wish to explore their creative side. I has always wanted to do Mass comm after my MBA, but somehow my smooth professional journey made me forget it. Mass communication is a very promising field.i have a couple of friends who have completed their education in Mass Communication. You are right..there are no weekend. They work really hard but they love their work. It is good to have wider choices for career selection. You have detailed it in a great way. Thats a very good career guidance article. Every student must be aware of the various opportunities a course comes with. Truely said.. we often ignore the hard work that goes behind making a career, especially in mass communication, a success! Really enlightening… Thanks for sharing! Wow.. this will be super helpful for those confused in considering the line of education they should opt for. A lot of insights into mass communication and scope thereafter. This is very good info for those who want to get into mass communication. Will share with friends too. Aaah regretting my decision to pick some other line now. Will definitely send the link to my friends and cousins. This is the perfect piece of information right now since the admission season is around the corner and could be a great help for inspiring students. These are some really good options. Generally if we talk to young generation about Mass Communication, they usually stick to the most common Journalism options. This post is really useful to give a proper insight. Great post, Neha. I am certain that this is a great guide to a lot of youngsters looking to explore career opportunities in the field of communications. Nowadays, a lot of organisations are hiring Mass Comm grads and postgrads for their corp comm and internal comm roles. These are all great tips. Wish someone had written such a post back when I was in the process of choosing right career for me. Sharing this with my cousins. This is such a great post. Mass Communication has a lot of opportunities. Nowadays, all the companies is looking for a MassCom courses. Mass communication is so popular these days unlike the time when I graduated when everything used to Honours in commerce or Science. I will share with all my friends who are looking for the new options. I am myself a PG in mass communication and loved reading the various doors it opens after the degree. Quite a helpful post. This post will certainly help youngsters who are planning on taking mass communication as a career choice as well as their parents. Mass communication courses are quite common these days and lot of students want to opt for it given to the multiple career opportunities it opens. Very helpful post for students who are on the verge of deciding their career path. Such a informative post. Sharing it with my cousin who just got her 12th results. A detailed article for someone who wants to make a career in mass comm and is clueless about it.. and these days so many youngster wants to opt for this and have the apptitude also. Very informative post. 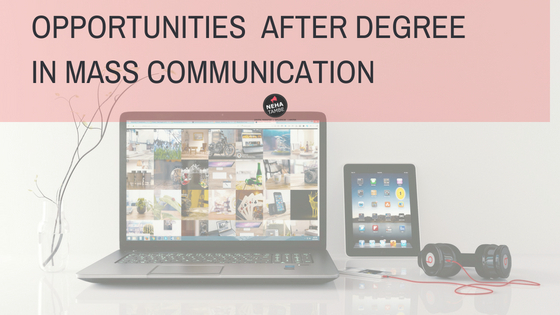 As a communication Post -Grad myself, i can tell you the opportunities are vast but there’s loads of competition and hardly any rest! Interesting post, will surely share with friends pursuing a career in mass comm. I remember when I have to opt any course, that was so confusing and seems like trapped in course web what to opt . This is a very helpful post especially with college admissions going on right now. I will forward this to my niece too who is interested in mass media and communication. I am sharing this with few people I know, who will be benefited with this. I absolutely love this. Mass Communication as an option has been available for a decade now. Your post compiles all the relevant information at one place which would be very helpful for the students. i was always attracted towards this course & wanted to do after my collage.. But destiny decided something else. Your post not only give me the details about it but also recall my those days. I was interested in Masscom but didn’t have any idea about it. Hopefully, now people will get big help from your post and can pursue their dreams. Very useful and informative post. Back in 2003 when i had to choose my career, i was only told 3 options engineer, doctor or architect. Wish there was proper counselling then. I never knew such things about mass communication. This post is helpful and insightful for someone who wants to study in this stream. How I wish I had come across this article while I was selecting my career stream and professional degree. Very well written. Surely gonna share it with kids having interest in MasCom. That’s a very informative and helpful post. Mass communication is really a very good course. When I was preparing for my post graduation, I had all these questions which you have answered in this post. With the passage of time, opportunities in Mass communication has increased a lot. A very well written post.